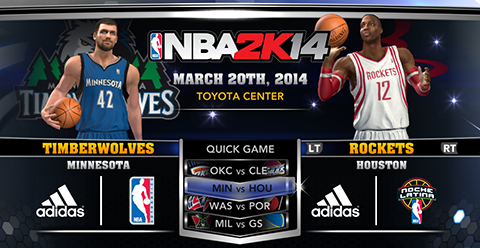 The March 20th NBA 2K14 roster from 2K sports is now available for download. It's a minor update mainly focused on adjusting the starting lineups and updating the injury status. Many are still missing, including Mike Muscala, Justin Hamilton, Jorge Gutierrez, Mustafa Shakur, and other players who signed 10-day contracts this month. Check out the list of changes below.